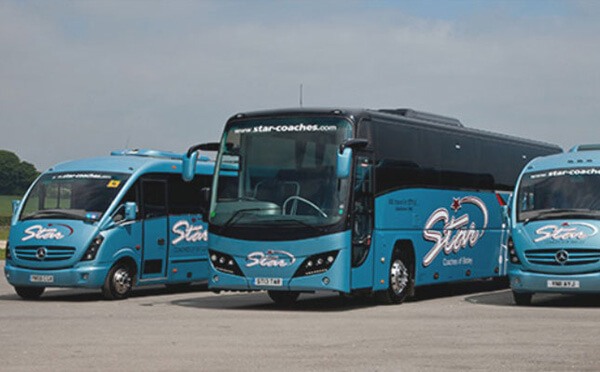 Leading provider of Coach Hire in Leeds, Bradford, West Yorkshire…Established since 1982, Star Coaches is amongst the leading coach hire companies in the UK. They provide a modern range of 16 to 70 seater luxury coaches for hire. Located in Batley, are ideally placed to provide coach hire in Leeds, Bradford, Huddersfield, Halifax, Wakefield, as well the whole of West Yorkshire, for travel anywhere in the UK. BigChange has installed its revolutionary technology on Star Coaches fleet. Star Coaches will be able enhance their customer service and quality, visibility and ensure they maintain their excellent record in road safety. Article précédentCEO’s Blog – JOBWATCH ANDROID APP – NEW UPDATEArticle suivantCEO’s Blog – Watch the Video !